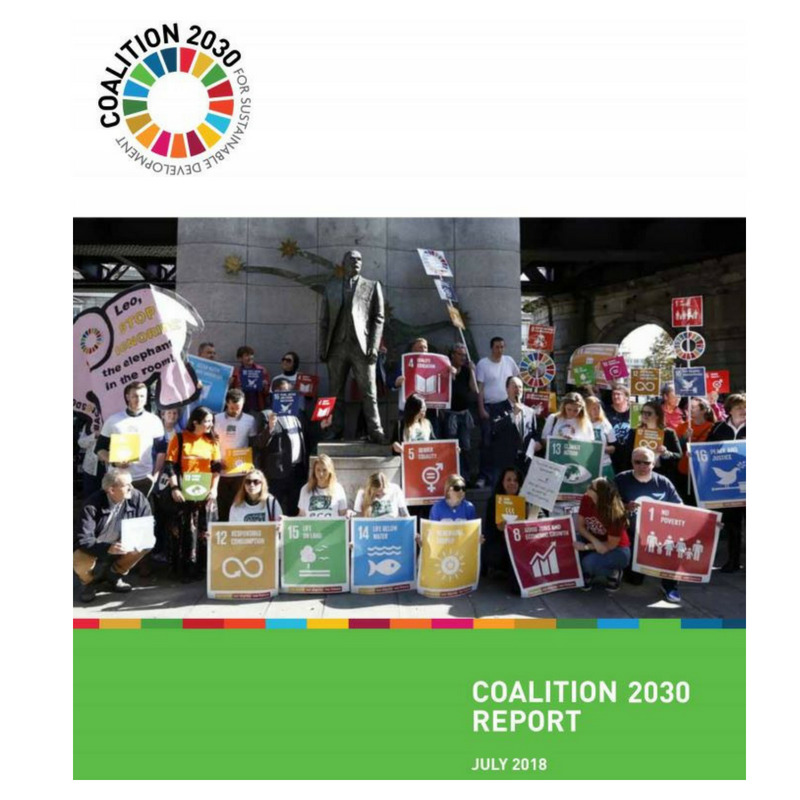 Coalition 2030, an alliance of over 100 Irish civil society organisations and networks, today expressed concern that Ireland is falling behind on its commitment to implement the United Nations Sustainable Development Goals (SDGs). The coalition outlined its concerns in a report published as the Irish Government prepares to present its first progress report on the SDGs at the United Nations in New York on Tuesday (17 July). In its independent report, Coalition 2030 calls for greater focus on developing national policies to support the implementation of the SDGs, “Arguably the greatest threat to Ireland’s implementation of the SDGs is a pronounced lack of policy coherence. Greater focus has to be placed on the inter linkages between the 17 Goals which makes them so transformative. This issue is particularly manifest in Ireland’s poor performance in reducing greenhouse gas emissions and failure to stem the downward spiral in Ireland’s biodiversity. As part of the National SDGs Implementation Plan, the government, in consultation with the National Economic and Social Council, should strengthen a whole-of-government approach to the SDGs,” said Michael Ewing from the Environmental Pillar, an advocacy coalition of 29 Irish environmental NGOs. Coalition 2030’s report is available at https://www.ireland2030.org/report-2018/.